PrimaCare Community Family Health Team encompasses an Executive Director, Interdisciplinary Health Providers (IHPs) and Administrative Staff. Our staff work with and provide support to eight (8) Family Physicians who collectively form a Family Health Organization (FHO). 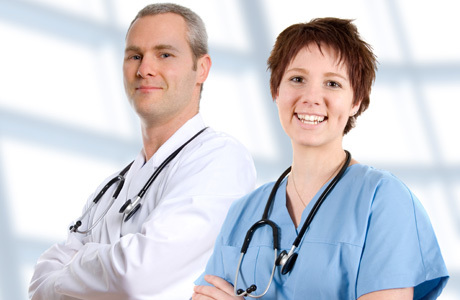 In addition, each Family Physician independently employs and manages their office staff. Our 8 Physicians are the key members of our Family health team. Our Physicians provide the majority of your medical care. They work with our IHP professionals to offer additional care and services. The Nurse Practitioner (NP) is a registered nurse with additional education and training to prepare him/her for advanced nursing practice. They work collaboratively with Family Physicians in the total care of patients in the primary care setting. The Physician Assistant (PA) is a skilled individual who supports physicians in providing a range of medical care in a variety of health care settings. The PA works under the supervision of a physician. Our Registered Nurses (RN) work directly with the primary health care provider and collaborates with other health professionals to provide health assessments, treatment, disease management and education. Our Social Worker provides the psychosocial perspective to compliment the medical perspective and provide individual group counseling, links to other community resources, education on mental health issues and advocacy. Our Registered Dietitians assess, counsel and support patients to make changes in their eating habits to promote health and prevent chronic illnesses such as high blood pressure, diabetes, heart disease and cancer. Our Pharmacists are health care providers who assist other members of the Family Health Team in managing patients with complex drug related needs and assess individual patient profiles to identify potential and actual drug-related problems in order to determine the best way to resolve them. Our Chiropodist assesses and manages the needs of patients with chronic and acute conditions affecting foot and lower limb function. The Chiropodist aims to maintain and improve patient mobility, alleviate foot pain, provide health education and thereby improve quality of life. The Executive Director is responsible to the Board of Directors. The Executive Director is the liaison between the Board of Directors and the community. The Executive Director manages human resource issues, develops strategic plans centred on patient practices. Provides support to Executive Director and is responsible for ensuring our team runs smoothly including day to day operations as well as administrative issues. The Office Administrator is also responsible for the accounts payable for the Family Health Team. Provides administrative and secretarial support in a confidential manner to the Executive Director including planning, organizing, and coordinating medical programs and clinical services, maintains standards of medical care, provides leadership to ensure an appropriately skilled medical workforce, and contributes to health service planning. The Medical Device Reprocessing department is responsible for handling the cleaning, disinfecting, sterilization, and distribution of tools and instruments in our Physicians’ offices. A certified Medical Device Reprocessing technician is crucial to ensure the utmost safety in all medical procedures. PrimaCare is a great place to build a practice.